I have a coat problem. I currently have six winter coats in my wardrobe and I am always tempted to get more. It’s not hard for me to justify it since there are not many statement clothing items you can get away with wearing multiple times a week. 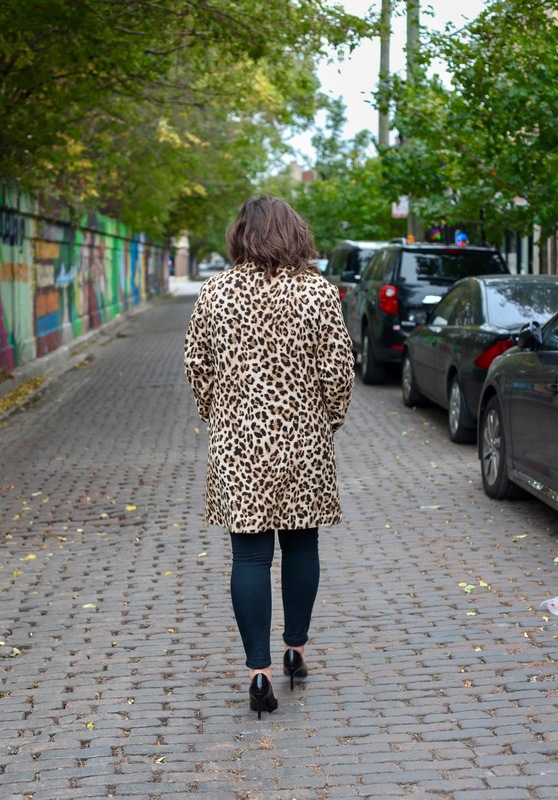 I was shopping with my mom at H&M last spring, where I picked up this amazing cheetah print coat. 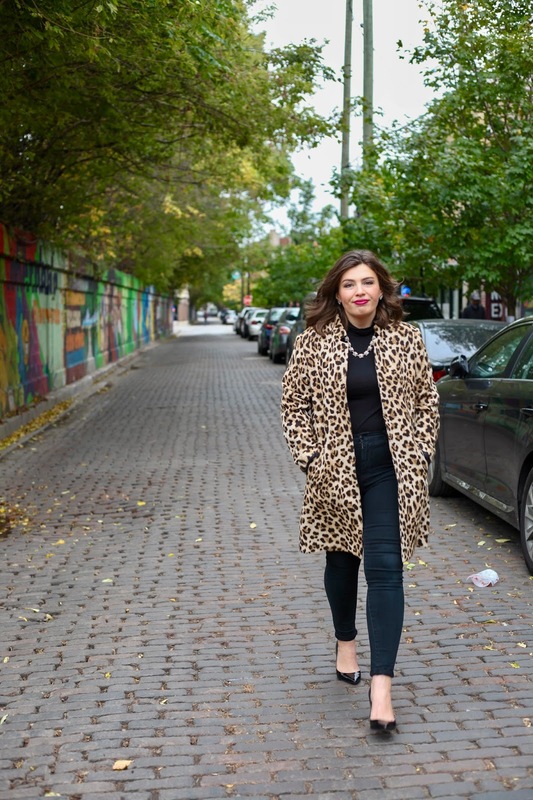 What I love about this coat is that typically only see cheetah print coats that are large and furry (which are to die for!). I love how this is printed on a structured coat, making it suitable to wear to work. All I would change for the outfit is swap out my black jeans for skinny-fit dress pants. Wearing all black and brown tones, I decided to add color to my outfit by wearing pink lipstick. I think a nice bright lip is a great way to finish off a look. Since the print is a pretty loud one, I went with a smaller statement necklace.